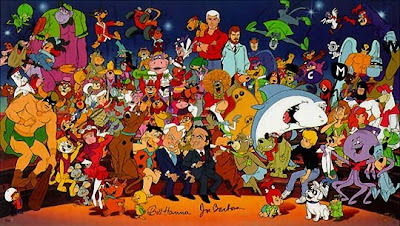 My recent discovery of Family Guy led to this: a list of my favorite cartoons from the best animation shop in history. It all began with a pair of Metro-Goldwyn-Mayer cartoon studio directors (William Hanna and Joseph Goldwyn) creating a cartoon called Tom and Jerry in 1943. 05. Scooby Doo, Where Are You? * Not technically a Hanna-Barbera production, but the creator worked there before hitting it big with this show.